KEVLAR is an advanced technology that helps transform the ordinary to the extraordinary. It combines high strength with lightweight, and comfort with protection. Products made with KEVLAR brand fiber help those who use them to do more, to go farther, to be even better at what they do. We Can Accommodate Most Lengths If You Require Something Longer. Just Email And Ask Us Its Still .55 Cents a Foot. 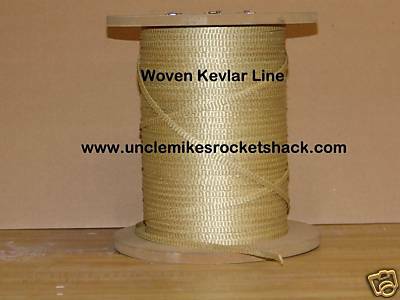 Please note these pieces are custom cut off a larger spool, there is NO refund on Kevlar Cord.